Haq's Musings: Quaide-Azam's Death Anniversary: Is Two Nation Theory Dead? Quaide-Azam's Death Anniversary: Is Two Nation Theory Dead? Some argue that the Two Nation Theory died with the 1971 partition of Pakistan that led to the separation of East Pakistan and the creation of Bangladesh. Others say that the TNT (Two Nation Theory) was dead the day Pakistan's founder Quaid-e-Azam Mohammad Ali Jinnah passed away on Sept 11, 1948. As Pakistanis observe the 65th anniversary of the Quaid-e-Azam's passing, let's examine the state of the Two Nation Theory which gave birth to the Pakistan movement on March 23, 1940. Hasan: "According to this analysis, the people of Bangladesh should have maintained Quaid-e-Azam as their hero & supported the formation of Pakistan in 1947, but unfortunately this did not happen.Even in the future they can realize this & correct their mistake. 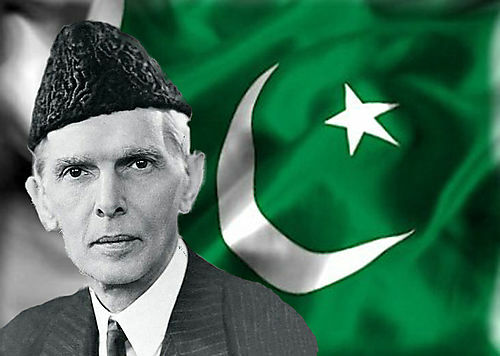 The two nation theory will however blow off if the movements like sindhu desh, greater pakhtoonistan & greater Baluchistan get strong & succeed...."
Had the 1971 creation of Bangladesh been amicable and a loose federation or confederation maintained with Pakistan, Bangladeshis would have had a different view of Pakistan and Quaid-e-Azam. Even so, I think a large segment of Bangladeshis and Pakistanis have a soft corner in their hearts for each other. As to the independence movements you mention in Sindh and Balochistan, I see these movements as insignificant relative to the strength of the federal government and the broad popular support for the federation of Pakistan after the 18th amendment. I think the chances of any break-up of Pakistan into smaller units appear remote. Hasan: "You are perfectly right, but the rulers after the Quaid, specially those after 1958 treated Pakistan as a unified state instead of a federation (Even a confederation was allowable as mentioned in Pakistan resolution) and did not do justice with the people of east Pakistan even as a part of a unified state which resulted in movement leading to their separation from Pakistan." The violence so embittered the two sides that the idea of even a loose confederation was not feasible post-1971. As to injustice with East Pakistan, the facts indicate otherwise. 3. In 1947, East Pakistan started with a lower economic base than West Pakistan, and the loss of its Hindu Bengali business elite in 1947 left it worse off. It also didn't have the benefit of the large number ofMuslim businessmen who migrated to West Pakistan, particularly Karachi, after partition of India in 1947. How will the muslims in India look at 2 nation theory? Two nation theory did not consider muslims scattered all over India and just went after creating two populous regions independent. A theory which did not consider anything for 150 million muslims living in India. In fact two nation theory has been the worst thing which could have happened to muslims of the United India. Muslims are devided now in 3 countries. Dont you think had they been united they could have got better deal than whatver is today. Today only Punjab and Sindh,Karachi and Dhakka are prosperous but rest muslims of entire subcontinent are still struggling. With regards to Pakistan being better on the poverty index, majority population of pakistan is living along indus(one of the most fertile and prosperous belt of resources). Compare your punjab to Indian punjab you will find similar prosperity. Compare port cities of India to Karachi you will find similar prosperity. When comparing India and Pakistan you are comparing apples with oranges. Each state of India has a different economy due to geography which is same for hundreds of years. Bangladesh is sitting most resourceful belt but couldnt progress much because the key trading and business communities left along with Education driven economical culture which is still there in West Bengal even with large number of Muslim population. West bengal is still one of better off state on India due to port and economy. Anon: "Today only Punjab and Sindh,Karachi and Dhakka are prosperous but rest muslims of entire subcontinent are still struggling"
The latest World Bank data shows that India's poverty rate of 27.5%, based on India's current poverty line of $1.03 per person per day, is more than 10 percentage points higher than Pakistan's 17.2%. Assam (urban), Punjab and Himachal Pradesh are the only three Indian states with similar or lower poverty rates than Pakistan's. West Bengal, too, fares much worse than Pakistan, according to this report. West Bengal's poverty rate is about twice that of Pakistan's. Again you are comparing Population of Punjab and sindh which is 90 percent of pakistan to whole of India. My point is punjab and sindh has been rich agricultural belts for centuries even before independence. Poverty was already very low. India has rich belts across all river basins where agriculture has boomed due to water availability. Poverty is in dry regions of vidarbha, telangana, MP, rajasthan, Northeast where no rich agri belts exist. Pakistan has definitely done very good progress in industries in Punjab and sindh. What lacks in your analysis is whether pakistan has turned around any regions which were in dark in last 65 years? Poor belts in Balochistan, FATA and gilgit baltistan still there. They are still poor and lack resources due to geography. In India nobody compares Punjab to Rajasthan because of geography. Same way no comparison can be done of himalayan states to Rich ganges basins. Orissa has large tribal belts and huge minerals but it is not compared with gujarat. My point is when you put figures it doesn't tell you complete story. You are a very good analyst and have collected good material which I can call a very good inventory for the policymakers and every critical piece must analysed. "Mr. Modi’s political sense was on display at the very first rally on his nomination as the BJP’s prime ministerial candidate. Addressing ex-servicemen at Rewari he laid out his security agenda that would no doubt have been music to the ears of the gathering. Declaring an intent to make Pakistan behave, China back off, the civilian defence sector deliver and have the coffers cough up ‘one rank one pension’, he suggested that since all this would require a ‘strong’ leader, he was the best man for the job. Missed in the deconstruction of his speech has been the more significant aspect: that of politicisation of the military." Mr. Khan then put up a post on his experience on his Facebook page and generated sharp reactions. After the outrage gained traction, Mr. Khan on Wednesday received a “regret” e-mail by a senior executive of the company. “We would like to clarify that the company does not discriminate against candidates based on gender, caste, religion, etc. Any hurt caused in the matter is deeply regretted,” said Mahendra S. Deshmukh, Associate VP & Head-HR of the company. "This rivalry between India and Pakistan has been going on now for nearly 70 years and it seems like a feature of the landscape ... as if it has always existed, and once you created two countries out of one that it was inevitable," Hajari says. "I don't think it was inevitable and a closer look at what happened in 1947 teaches you how the seeds of this rivalry were planted. It was obviously worsened over the years by various actors, but this is where it all started." They (Hindus) controlled the schools, they controlled the educational curriculum, they oversaw the police and they gave out jobs and patronage to their own followers. And Muslims could see, particularly professional Muslims, Muslims who would otherwise have perhaps won these jobs, could see that they would have very little power in a democratic system, a parliamentary system after independence. On that (Direct Action) day (1946), the speeches that were given were fairly inflammatory, and some of the Muslim listeners of these speeches went out and started burning and looting in Hindu areas. At the same time, Hindus in different parts of the city were also throwing bricks and stones at Muslim marchers. It's very hard to say exactly how it started or who started it [but] both sides behaved violently. The Sikhs really were the accelerant to the riots in August 1947, which is, when people talk about partition, this is what they're talking about. These are the massive riots that broke out around the time that the British withdrew from India, and anywhere from 200,000 to 1 million people were killed. As independence was approaching, all sides were forming militias, which they claimed were for self-defense. The Sikhs, because so many of them had served in the army, were the best trained and the best armed and the best organized of these militias, and therefore the rampages that they engaged in were more effective and bloodier and more damaging. The Pakistani support for the Taliban had to do with their desire to have an influence in Kabul and to block Indian influence in Afghanistan. Pakistani strategists have this idea of strategic depth that if they were engaged in a major conflict with India that they would be able to use Afghanistan as a sort of rear-guard area to fall back to. They have a fear of being encircled by Indians and there have always been rumors that the Indians were trying to gain influence with various Afghan governments and that they had spies in Afghanistan and so on. Afghanistan has never fully agreed to the border between Afghanistan and Pakistan, so that creates more tensions. But this fear of Indian encirclement, that's what goes back to partition in 1947. The seeds of that rivalry were planted in these weeks and months of violence and bloodshed back when both countries were still being born and they were exacerbated over the years by further conflicts and by various military dictators and politicians and so forth, but the basic pattern was set very quickly. As a smaller, weaker country, this asymmetric strategy of using surrogates to do your fighting for you seems appealing, but it has very destructive repercussions. DURING BRITISH COLONIAL RULE, a superb feat of political engineering kept together several nationalities clearly differentiated by religion, ethnicity, language, and cultural tradition. As a result, the withdrawal of the colonial power in 1947 brought to the surface national tensions similar to those which had already led to the creation of scores of nation-states in Europe, each based on the principle of national self-determination. The inevitable creation of Pakistan as an independent sovereign state in 1947 illustrates the historic existence of multiple nationalities in South Asia. It is further substantiated by the fact that when the eastern wing of Pakistan broke away in 1971, it did not return to India, which had militarily intervened to bring about the secession, but asserted its independence from India as strongly as Pakistan has always done. In contemporary South Asia, states like India, Pakistan, and Sri Lanka continue to be multiethnic and multi-national states. For each of these states, internal consolidation and cohesion has depended on the successful resolution of great sub-regional rivalry and competition. Occasionally, internal conflict has loomed so large as to create a genuine crisis of governability. The case of Pakistan seems unique in many respects. It is the only country in which the internal contradictions that existed between the two wings of the country, separated by more than a thousand miles of hostile India, exploded into a major bloody conflict leading to the emergence of a third state in the subcontinent, Bangladesh. Paradoxically, the trauma of this separation led to deep soul-searching in Pakistan which, in the due course of time, profoundly affected its political culture. The loss of East Pakistan in 1971 did not exacerbate the tensions within West Pakistan, even though these tensions had been largely neglected during the pre-war attempts at mediation of the East-West conflict. Rather, the new Pakistan rediscovered a set of principles and allegiances which have played an important role in the country's consolidation. Pakistan now stands at a crucial juncture in its history, where most of the instability it faces comes not from domestic separatism but from external interference and threats. It earnestly hopes that economic policies in South Asia in the direction of free enterprise and participation in the global economy will counteract and neutralize aggressive tendencies. Pakistan would like to open an entirely new chapter of cooperative relations with India, and invites the leaders of India to negotiate a peaceful solution to the Kashmir problem as well as a reciprocally-binding non-proliferation regime for nuclear weapons and delivery systems. We invite India's leaders to take parallel measures to limit and reduce military spending in the interest of the billion people living in South Asia. In addition, as the two largest states of the subcontinent, India and Pakistan owe it to South Asia to transform its only regional organization, the South Asian Association for Regional Cooperation, into a more meaningful and effective vehicle of regional economic and social development. History will not forgive us if we forego the great opportunities present today for shared prosperity and peace. Jaffrelot delves into great detail on three sources of tensions that roiled Pakistan: ethnic schisms, be it Bengali, Baloch, or Pashtun, and their federal aspirations that came into conflict with the unitary definition of the Pakistan nation; the army's tendency to interrupt the democratic process; and differences between Islamists and those who view Islam as a common cultural identity marker that distinguishes Pakistan from, say, India. Jaffrelot concludes that Pakistan appears less vulnerable to the centrifugal forces of ethno-nationalism in the 2000s compared to the 1970s, when these movements first assumed militant stances. A notable feature of the chronic instability and alternating periods of democratisation and martial law is that the country never slipped out of the clutches of the ruling elites. As a result, land and fiscal reforms were non-starters and benefits of secular education never really reached the grassroots. This directly fed into Zia-ul-Haq's Islamisation policy – a period of unprecedented state support for madrasas coupled with liberal funding from Saudi Arabia. However, Jaffrelot is clear that Zia was driven by the idea of state control over Islamic religion and would never have brooked Islamic leaders calling the shots in Pakistan. Nevertheless, Pakistan paid a heavy price for his Islamisation policy. It sprung two offshoots, jihadism and sectarianism, that pose a greater threat to Pakistani society than the possibility of ethnic strife or another army coup. Jaffrelot is unsparing in blaming Pakistan for promoting jihadism, expecting this to provide a strategic counterweight against India, and extend Pakistan's influence in Afghanistan. In this context, Pakistan could have made a clean break with Islamists post-9/11. Here, Jaffrelot notes that the Pakistan army's perception of the Afghan Taliban, Haqqani network, and Lashkar-e-Taiba as assets and the refusal to tackle these groups head-on enabled them "to acquire such power that today they can defy the state and create the conditions of a low-intensity civil war". In discussing the possibility of civil war, Jaffrelot proceeds to discuss the army's actions in Khyber-Pakhtunkhwa (NWFP) and the Federally Administered Tribal Areas. In the end, Pakistan's (and India's) best bet for long-term survival is economic upliftment of the masses. The world over, there is growing discourse around economic inequality, but South Asian nations continue to be enmeshed in the polarising rhetoric of cultural-religious nationalists. Jaffrelot has given us a comprehensive tome, that combines a sociological perspective of Pakistan's history and a deep – occasionally sympathetic – understanding of positions staked out by the politicians and army generals in steering the country through choppy waters.